Catch the Moon is a space platform and puzzle game. 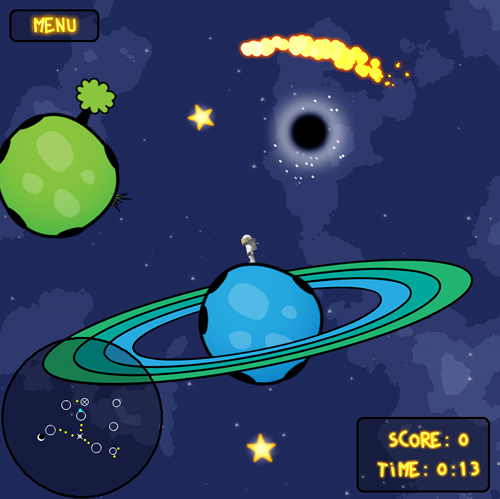 Jump from planets to planets to reach the moon. Be careful of the gravitation (depending of the size of the planets), the orbiting planets and the black holes.